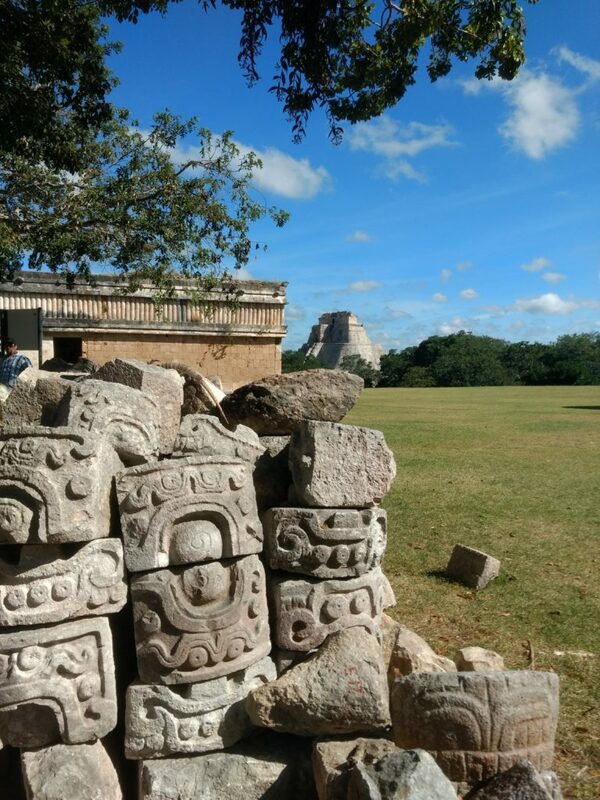 This past fall, a Forward Movement team member took a trip to Mérida, Mexico, the capital of the Yucatán. While there, she met up with José Vieira Arruda, the priest at St. Luke’s Episcopal Church. Here is what José has to say about himself and his ministry in Mérida. My name is José Vieira Arruda and I am a Portuguese-Canadian living in Mérida, already for seven years. My family immigrated to Canada, from the islands of the Azores, Portugal, when I was fourteen years old. We settled in Toronto, Ontario, and I studied philosophy and theology at Saint Michael’s College of the University of Toronto. After being ordained to the priesthood, in 1987, I went to Fordham University, New York for graduate studies in ecclesiology. Then, I went on to parish ministry and teaching in the cities of Montreal and Laval, Québec, Canada. At the age of fifty-two, I decided to leave North America and come to Latin America to experience ministry in a different socio-cultural setting. Could you tell us more about St. Luke’s? What kind of things are they doing in Mérida? 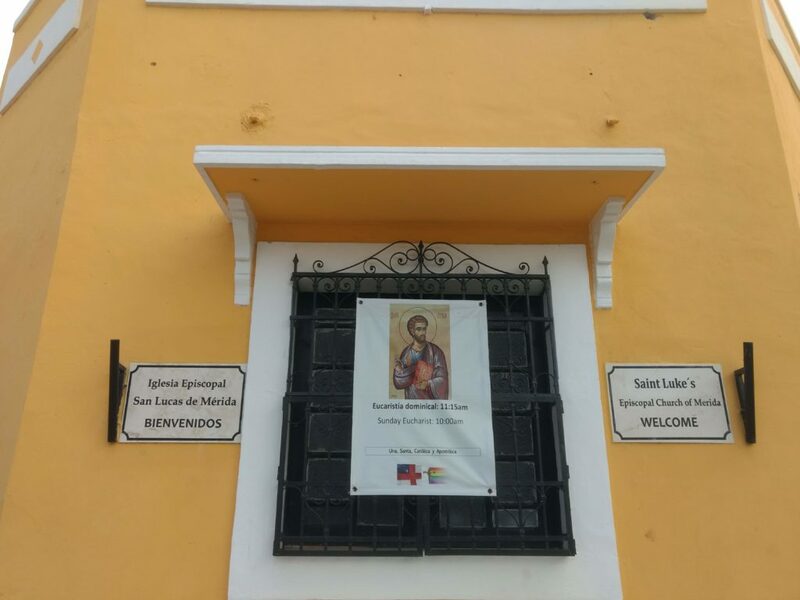 Saint Luke’s Episcopal Church of Mérida is kind of a “miracle Church”. 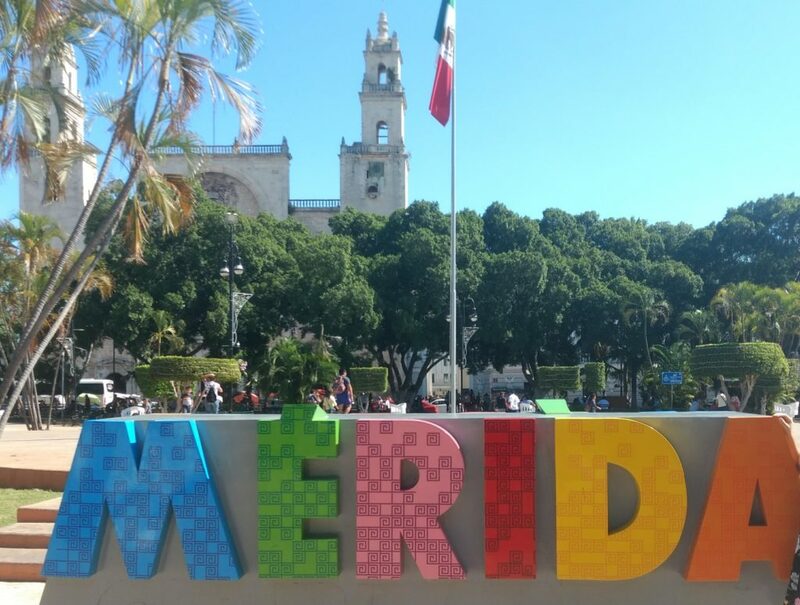 After coming to know so many Episcopal sisters and brothers living here in Mérida—some permanently, while others only during a few months of the year—and having been made unwelcome at another local church, we decided to form community and plant our own Episcopal Church here in Mérida. At first, we started to meet for the celebration of the Eucharist at the home of one of our friends, Mr. Frank Kriegel, and then, as we began to grow, we moved to the home of another of our friends, Mr. Greg Casini. Still, as we continued to grow, we saw the need to have a place of our own and so we rented a larger home and transformed it into our church building. This is where we are located at the present moment, here at the corner of Calles 76 with 55, Santiago, Mérida. Every Sunday, we gather at 10:00 am for the Eucharist—in English, and at 11:15 am for the Eucharist—in Spanish. During major feasts throughout the year, we celebrate together as a community of English and Spanish speaking congregants. It is indeed a beautiful community, very inclusive and enthusiastic about our faith in the Lord. As the only Episcopal Church of Mérida, we are present in the wider community through our social justice ministries, advocating for inclusivity in all areas of life and the integral care of all human beings and creation, especially the poor and the socially excluded. Apart from being present at the local women’s jail with a program for human formation, we are also present at a local hospital, making and delivering over three-hundred sandwiches each Saturday morning, thanks to the generosity of Mr. Frank Kriegel. We are also trying to reach out in a more permanent way to families of the poorest area of Mérida, the Colonia Guadalupana. Hopefully, with the grace of God and the financial help of sisters and brothers, we will be able to open a socio-pastoral center in this area and, thus, create a community space for all those who would like to come and make it theirs, through social and spiritual activities. What is the primary mission of St. Luke’s? Our primary mission as the first Episcopal Church of Mérida is that we continue to create safe and wholistic spaces of hospitality, acceptance, liberation, and life. Our mission is to build community through bonds of communion and service—communion with the Lord and each other and service to the poorest and most humble among us. This is our way of proclaiming the Good News of the Lord—Good News of inclusivity, of justice, of compassion, of life! As we worship together, we want our worship to be alive and to renew in us the sense of companionship—becoming Jesus-centered companions to each other and to all who need an open heart and a helping hand. What are your hopes for St. Luke’s? My hopes for Saint Luke’s are that we continue to be centered in the Lord Jesus as the anointed one from the Father, who came to preach Good News to the poor, release to the captives, recovery of sight to the blind and liberation to all those oppressed (Luke 4:18). I sincerely hope that we continue this liberating process of moving into a Church literally obsessed with the liberation of the poor and the excluded, the suffering and the forgotten—a Church that is not afraid to become poor and walk with the poor, paying the price, if need be, of being persecuted and crucified. Wherever you are and whoever you are, we want you to know that you are welcomed at Saint Luke’s. It is your home as well and you will find here sisters and brothers with open hearts and opens arms ready to embrace you ever so gently and ever so lovingly. When in Mérida, come and visit us. Welcome to Saint Luke’s! 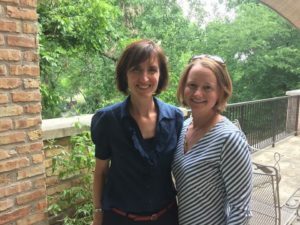 Mary Parmer serves as director of Invite Welcome Connect, a transformational ministry housed at the Beecken Center in the School of Theology, University of the South in Sewanee, Tennessee. 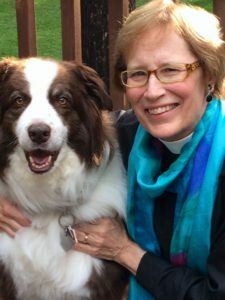 Mary is the past director of the Gathering of Leaders, a national leadership gathering of young Episcopal clergy. How did the concept of Invite Welcome Connect form and develop? 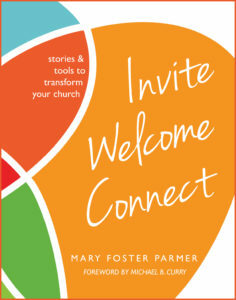 The concept for the ministry of Invite Welcome Connect was born out of my 10 year experience as director of evangelism and adult ministry at St. Stephen’s Episcopal Church in Beaumont, Texas, and then was further developed through the Newcomer Ministry Project of the Episcopal Diocese of Texas. Invite Welcome Connect is a ministry based on scripture, theology, and experience. What is your favorite story that has come out of Invite Welcome Connect? So many amazing stories have come out of Invite Welcome Connect—it would be impossible to say which is my favorite! Invite Welcome Connect has changed my heart, and It was a game-changing moment for our congregation as the fire of the gospel caught us and changed our lives forever. One woman shared that she might never have left the church 30 years ago, had she only heard the message of Invite Welcome Connect. I am humbled and blessed by all these stories—and all the ones yet to be told. I pray the book will be used first as a tool for encouragement, giving people hope as they read of the transformation of individual lives and congregations of those who have implemented Invite Welcome Connect. 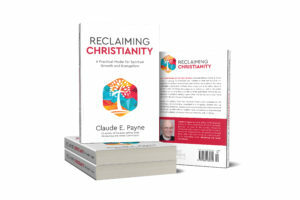 The book includes a Getting Started Guide for those interested in implementing the ministry, and it could also serve as a check-in for those who are currently implementing the ministry. What is your ultimate goal for this program and book? My ultimate goal is that the ministry of Invite Welcome Connect will change the narrative of the Episcopal Church to move from maintenance to mission. For our congregations to thrive, spiritually and numerically, we need to equip and empower individuals and congregations to cultivate intentional practices of evangelism, hospitality, and connectedness rooted in the gospel imperative to Go and make disciples of all nations (Matthew 28:19). What is the biggest challenge you’ve faced on this journey? The biggest challenge I’ve faced on this journey is intensely personal; balancing my personal and working lives, essentially holding down two jobs as Gathering of Leaders director and creating/nurturing the ministry of Invite Welcome Connect. Is there anything else you’d like to share with readers and participants? 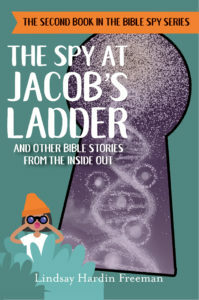 Although earlier I named my ultimate goal for the ministry and book, another more personal goal is that individuals who read the book will have the courage to discern the gifts God has placed within them, tapping into the imaginative creative mind God gives them, and then saying Yes to God’s call in their lives. Amy Nobles Dolan and Hillary D. Raining share a mutual passion for yoga and for faith, which brought them together to write Faith with a Twist. Amy is the owner and head teacher of Yoga with Spirit, an ashtanga-based yoga studio in Wane, Pennsylvania. She is also a yoga writer who publishes a weekly blog and has helped edit a yoga anatomy book. She is married to her college sweetheart, Jim, and has three young children, JB, Katie, and Sally. Hillary is the rector of St. Christopher’s Episcopal Church, Gladwyne, Pennsylvania. She also teaches yoga and plays piano, classical violin, and Celtic fiddle. She is author of Joy in Confession, published by Forward Movement. She is married to Ken and they have a daughter, Delia. When and how did you begin practicing yoga? Hillary: I truly started practicing yoga in earnest in 2010 when I won 5 free yoga classes at Leigh Valley Yoga studio in Bethlehem, PA. To be honest, I had always thought of yoga as too “easy” to count as exercise, but was proven wrong when I left feeling totally exhausted after my first class! I was hooked by the way my mind was calmed by the vigorous and meditative practice and found my prayers were deeper at the end of just one session! Amy: Yoga began as a hobby. An hour of “me time” in a life consumed by taking care of children, husband, pets, and home. Within months, dear friends were commenting that I seemed different – happier, contented, less stressed and anxious, mellower. It was profound validation for me to know that the differences I was feeling in myself were actually noticeable to the people in my life! I believe that yoga has made me a better mother, a better spouse, a better friend, daughter, and sister. I guess you could say I think yoga has helped me become more like the person God created me to be and that I yearn to be. After practicing yoga for three years, I enrolled in teacher training and have been teaching ever since (about 15 years). I opened a studio called Yoga With Spirit and am blessed to share this practice with dozens of students each week. So yoga has completely changed my life in that it is now my work as well as my passion. How have you seen yoga transform someone else’s life? Amy: As a full time yoga teacher I see this practice transform people’s lives all the time. It is amazing! I’ve watched students heal from awful injuries, surgeries, and illnesses. I’ve watched students practice as a part of their recovery from debilitating depression and anxiety. I’ve watched students enter into and exit from relationships as a result of the self-study yoga asks of us. I’ve watched students shoot for the moon – and succeed in getting the promotion they wanted or to start a new career or to just find peace in their crazy, daily lives. One of my students who dove deep into the practice totally revamped her life. She started small by cleaning out extra “stuff” at home. She started to pay attention to her daydreams which all involved living near the beach in southern California. Over the course of the two years that we worked together, she put in place and executed her plan to sell most of what she owned, move out west and start a simpler, new life. She has never been happier! Hillary: This book developed from a combination of ideas centered around Amy’s amazing teacher training program. 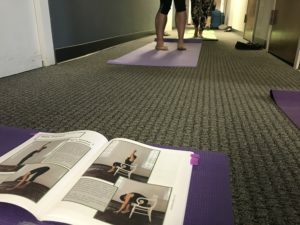 As a student of Amy’s I was encouraged to put together a project that would help take the yogic principles that we were learning off the mat and into the real world. So, I decided to create a Lenten meditation series around yoga’s “ethical code” of the yamas and niyamas. Meanwhile, Amy, who is not only an accomplished teacher but also a gifted and prolific spiritual writer, had developed a manual for those who were looking to delve deeper into their practice. We knew we wanted to work on a project together born out of our friendship and mutual faith and love of yoga. Thus, we blended the two projects and Faith with a Twist was born! Hillary: I would say working with Amy on a project we were both passionate about was a blast! It’s rare when you get to work on something you care about with a person you have such fun with. Hillary: As a person who has dyslexia, the writing process itself is always the hardest part. That is why I am always so grateful for good editors! What else would you like readers know? Amy: Hillary and I have worked very hard to convey how yoga and faith support one another. Rather than trying to blend the two traditions, which always dilutes both of them, we have tried to honor both the ancient spiritual practice of yoga and the Christian faith we share. We have not tried to make yoga “Christian” in our book. I, for one, do not believe there is such a thing as Christian yoga or Jewish yoga or Buddhist yoga. I believe yoga is a spiritual tool that supports and enhances any faith. In our book we have tried, instead, to show how yoga’s spiritual practices have supported and enhanced the contemplative prayer practices that draw us closer to God in our daily lives. And that is precisely what the founding teacher of Ashtanga yoga (Sri K. Pattabhi Jois) taught was the highest purpose of the practice…to focus on God. 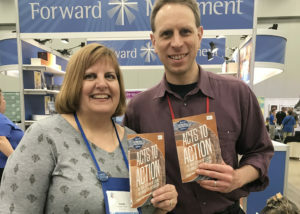 Sarah K. Gaventa and Mary Davila are Episcopal priests, mothers, and authors of Grandpa’s Tent, the newest Forward Movement publication. This story gently and honestly explains death and grieving to children and is perfect for emerging readers and for adults and children to read together. Here is what Sarah and Mary have to say about Grandpa’s Tent. How did the idea for this book form and develop? Mary: Scripture gave us the key image from the very start: Paul’s description of the body as a tent (2 Corinthians 5:1-10). The story was crafted around that…camping, tents, heaven as a permanent home. When Scripture provides such rich metaphors, the writing process is much easier, because the launching point is already there. Sarah and I reached out to fellow clergy of various denominations, asking what material they would like to see addressed in a book. We also met with groups of children, inviting their questions. The writing process itself was less laborious than researching, asking questions, and studying Scripture. 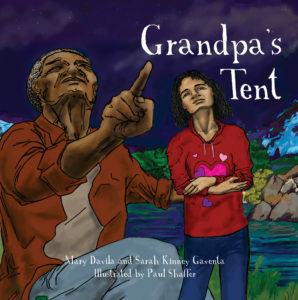 What was your favorite part of writing Grandpa’s Tent? Sarah: My favorite part of writing Grandpa’s Tent was FaceTiming with Mary while we collaborated on our Google Doc. I was so grateful for the technologies that made it possible to work together, even though we were hundreds of miles apart. It was a great way to stay connected with an old friend. Sarah: The most difficult part was narrowing in on how best to express resurrection theology to small children. There are so many different images used in the Bible and we had to balance communicating in simple language with the complex ideas found in the Bible about life after death. Mary: Sarah and I did all of our writing via Skype. She lives in Austin, Texas, and I live in Raleigh, North Carolina. Using a Google document, we wrote on the spot, while we Skyped. I wrote in my kitchen on my days off while my children were at school. Where would you go for inspiration? Mary: Scripture and people—those are my sources of inspiration. I went through seasons of feeling convicted to write the book, and then other times, it fell to the back burner. 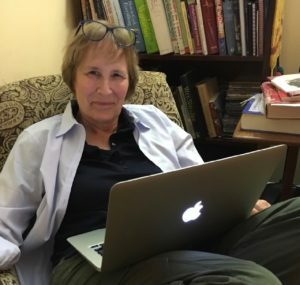 But when someone in the parish died, or a child lost a grandparent or friend, and I was asked for a resource, I’d think, “We really could write something that seeks to affirm what we do know about life and death, and yet upholds the mystery of life after death.” I also felt like Sarah and I could be both direct and comforting in addressing some very practical things, from a feeling of discomfort with the smells and sights within assisted living facilities, to what to expect in attending a wake, funeral service, and burial. To be direct about the practical, and yet expansive and generous about the mystery of it all, was a balance we tried to strike. How do you see this book being utilized? 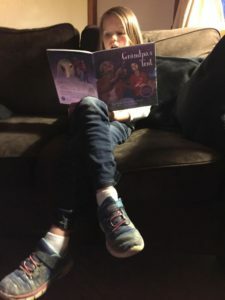 Sarah: We created Grandpa’s Tent as a resource for children who were dealing with grief–and for pastors teaching children about death in general. In the early part of our priesthood, Mary and I both were responsible for children’s formation and we share a philosophy of really listening to children and addressing their deep concerns. Many children worry about death, even if they are not actively grieving. We wanted to give parents, pastors, and hospitals a resource for beginning a conversation about this difficult topic. Mary: This book deals with topics that most people would really rather not talk about. People feel afraid to bring up the subject of death, and they don’t feel equipped to answer children’s questions. If this book brings comfort to even one family as they journey through death and grief, then our work has been fruitful.